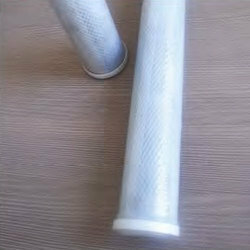 We are foremost trusted organization for making available Perforated Filter Jali. Expert team of personnel makes all these products from the corrosion resistant raw material. In harmony with worldwide norms, we are offering all these products as per the requirements of clients. Experts give ideal shape and finishing to all products by use of progressive tools and technology. - Used in various purposes such as Fish breeding, river fishing etc. Price Range: Rs.3000-25000 per Roll. Usage/Application: Air Cooler Filter,Air cooler mesh etc.